I find having a good camera while traveling is something you cannot look over. Having crappy pictures as the only way to share how awesome your trip was is an absolute shame. Obviously some people have a talent with photography or have invested a good amount of time learning to use their camera properly. I tried that too and while I was getting better results, I was still far away from mastering it. I see so many people with DSLRs, using them only in auto mode and usually shooting poor pictures, it’s such a waste! At first I bought a Lumix camera with a 20X zoom and all the latest gadgets (video, gps…). I was really disappointed by the picture quality. While colors were good, the noise was far too noticeable! Before my choice was stopped on the Lumix, it was in the balance with the Canon S100. The Lumix won because of it’s lower price and better zoom. After being so disappointed, I returned it and bought the S100. This turned out to be the best decision ever! When reading the specs, the S100 may look like a poorer choice compared to the other cameras in its category. It has a small zoom (5x), is “only” 12 MPX and is more expensive. I didn’t mind too much about the zoom so let’s put that aside. The picture quality of this point-and-shoot is simply amazing. The colors are perfect, not too much noise and low light performance is the best I’ve seen in any compacts. Video quality is also top notch although sound recording is pretty poor. The S100 starts quickly and captures pictures in less than a second (honestly it feels almost as quick as a DSLR). It has a bunch of very useful picture modes, like hand held night scene. The LCD quality is also excellent, making it very easy to preview photos. The more passionate photographers will also enjoy the ability to shoot in RAW. The only negative points I have found so far is the missing panorama mode (it has a panorama assist mode but no automatic stitching) and the poor sound quality in videos. All photos since my European trip were taken using the S100, 90% of them in auto mode. I’ve received some great comments about my photos but the only thing you can congratulate me about is good framing! I met a few travelers who owned this camera and they were all very happy with it. 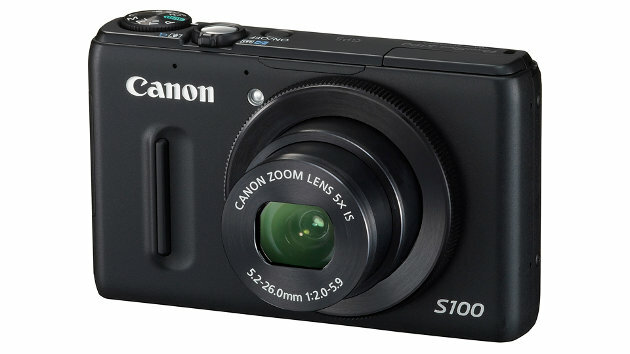 If you’re looking for a new camera, the search is over, go buy the Canon S100 now! Note: a new model is out, named the S110 but I cannot comment on it.